Malibu Premier offers exciting performance to match its flawless looks, pairing a 250-horsepower 2.0L turbocharged ECOTEC® engine with a 9-speed automatic transmission for optimal efficiency. Offering a turbocharged 1.5L ECOTEC® engine with proven fuel-saving technologies including Variable Valve Timing, Direct Injection and stop/start technology. 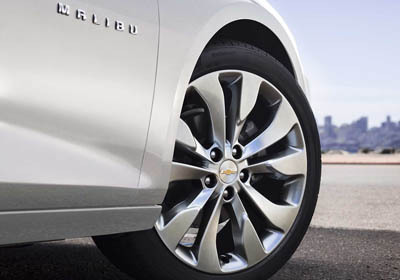 Malibu delivers a sporty and responsive ride that offers an impressive 36 MPG highway. LED taillamps give the all-new 2017 Malibu Premier a sporty and modern look. 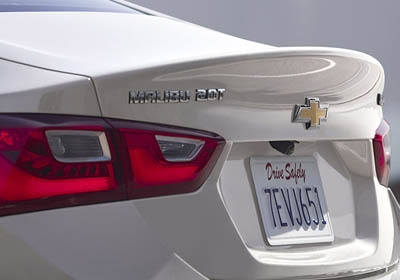 Available chrome-trimmed dual exhausts give the all-new 2016 Malibu an athletic stance. 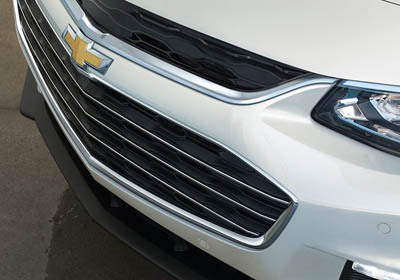 Distinct available LED daytime running lamps will turn heads and help improve visibility. Windswept body lines and an agile stance give this midsize car a sleek look while helping to provide a sporty ride. And with bright available LED daytime running lamps and available LED taillamps, Malibu offers the perfect blend of form and function. Malibu has a spacious interior carefully suited to fit your needs and the needs of your passengers. An innovative center console puts controls where you need them, while built-in USB ports and an available wireless charging station offer plenty of options for keeping your compatible devices connected and charged. With an available Chevrolet MyLink display offering support for Apple CarPlay™ and Android Auto™ and an available built-in 4G LTE Wi-Fi® connection, Malibu helps keep you connected to the entertainment you love and the information you need. The Rear Seat Reminder activates when a second row door is opened and closed during or before a trip. This all new feature reminds you to check the back seat of your car for any items you may have forgot. Available active safety technologies like Low Speed Forward Automatic Braking and Lane Keep Assist work to help you prevent accidents before they happen. In the event of a collision, Malibu comes with an advanced air bag system and high-strength steel body structure to help protect you, and offers OnStar Automatic Crash Response to contact emergency services on your behalf. And to top it off, the Malibu has earned an IIHS Top Safety Pick & Award when equipped with available Low Speed Forward Automatic Braking. As your comprehensive owner benefit program, Chevrolet Complete Care ensures our commitment to owner satisfaction for all 2017 Chevrolet vehicles. The 2017 Chevrolet Malibu comes with an advanced air bag sensing system that will deploy air bags in a collision from any direction. In the event of an impact, a high-strength steel safety cage provides additional protection. When the air bags deploy, built-in sensors can automatically alert an OnStar® Advisor (if equipped). Even if you don’t respond, an OnStar® Advisor can use GPS technology to pinpoint your location and request that emergency help is sent right away.